Another "What's not good about Linux Mint?" Cinnamon window manager is not very stable and it is even less stable with fedora. After a while it becomes slow and unresponsive and has to be restarted. 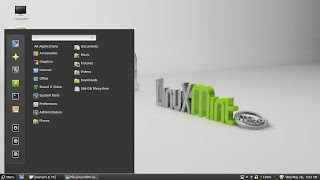 Another "Why Choose Linux Mint with Cinnamon?" The expo function to select workspaces is phenomenal. I have put it under my extra mouse button and that works so beautiful. For the Rest: I love it to bits!